When you are in Paris, dedicating a day to visit the Chateau de Versailles is greatly suggested. This is one of the largest palaces in the whole of Europe. The Chateau de Versailles boasts of history, architecture, size and absolute elegance. 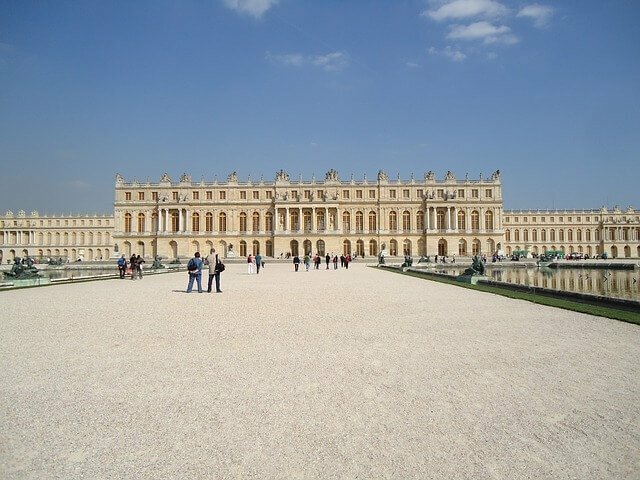 Find out why going to the Chateau de Versailles is well worth the visit with this guide from Talk Travel App. Check out the 13 steps to follow for a hassle-free visit to the Chateau de Versailles. With these 13 tips, you can enjoy the Chateau de Versailles like a local. First of all, you need to know the history of this place to better appreciate this landmark. The Chateau can be best explained by understanding the influence each king exerted in Versailles between 1624 – 1789 and beyond. 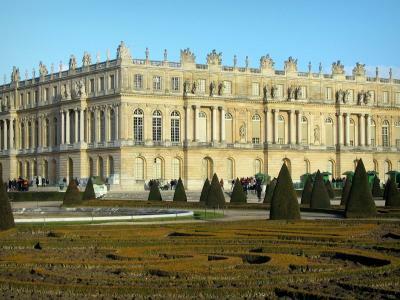 The Chateau de Versailles dates back to 1624 when Louis XIII built a hunting lodge at Versailles. 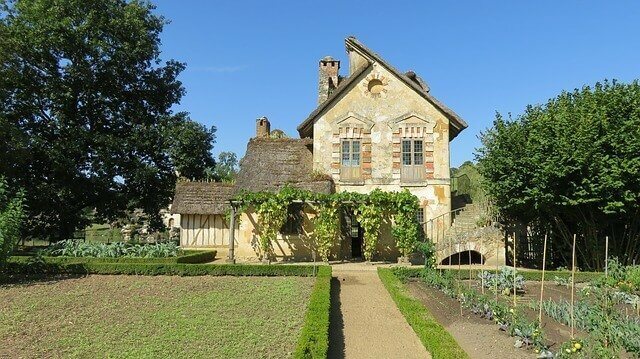 Between 1631 and 1634, this country residence was replaced by a stone and brick chateau under his orders. It was Louis XIII’s son, King Louis XIV who transformed Versailles for good which is demonstrated by the affinity he had towards Versailles. From 1682 onwards, the Chateau of Versailles became the official royal residence and on 6 May 1682. Louis XIV was the longest reigning king in the history of France, ruling the land for 72 years. When King Louis XV moved to Versailles, he built smaller apartments called Petit Appartement du Roi. Furthermore, at the end of his reign, he built the Royal Opera House in 1770. Louis XVI’s reign will forever be associated with the outbreak of the French Revolution and the end of Versailles’ royal era. Actual building costs for Versailles are debated by modern historians because currency values are uncertain. However, Versailles’ price tag ranges anywhere from two billion USD to a maximum of 50 billion USD. The cost of construction and the continuous embellishments that followed were so high that the two kings Louis XV and Louis XVI were under debt pressure. This led to unrest among the people which also triggered the 1789 French Revolution. Uncertainty started to loom in 1789 as there was a huge budget deficit. On the morning of 5 October 1789, the women of Versailles took to the streets protesting the high cost of living and scarcity of bread. The agitators laid siege to the palace and placed their demands in front of Louis XVI. The next day, the crowd compelled the king, his family to return with them to Paris. For the first time in history, the Palace of Versailles was deserted by the King and the Queen. Major restoration work took place in his era and it continued to host the most important events in the history of France. On 1 September 1833, King Louis-Philippe decided to open a history museum in it dedicated to “All the glories of France”. Versailles became the center of attention to the world when the Treaty of Versailles was signed here in the Hall of Mirrors in 1919. As time passed, as gratitude for the involvement of France in the American War of Independence, an American billionaire, John D. Rockefeller donated funds for the restoration of Chateau of Versailles. The Palace’s curators took up refurbishing the rooms and the palace eventually regained its popularity. 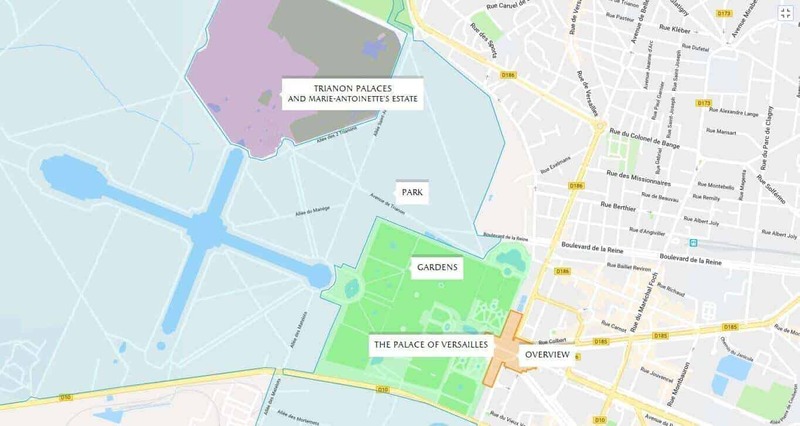 The below image represents the layout of the Palace of Versailles. Considered one of the most beautiful and largest palaces in Europe, the Palace of Versailles stands true to its word. There are glorious paintings on the roofs boasting of French victory and every room in this Palace has historical significance. 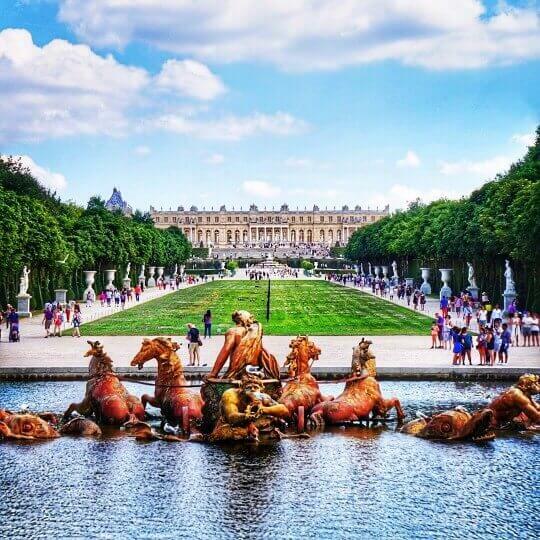 The first thing that beckons you at the Chateau de Versailles is the Equestrian Bronze Statue of Louis XIV at the entrance of the Palace of Versailles and the glittering golden gate. While you visit the King’s Apartments, Queen’s Apartments, Hall of Mirrors in the Palace, do not miss out on other important attractions like the Orangery, the War Room, the Peace Room and many more. Encompassing 67,000 square meters (721,182 sq ft) the palace has 700 rooms, more than 2,000 windows, 1,250 fireplaces and 67 staircases. You can enjoy an audio guided tour of the Palace by downloading the Palace of Versailles app. It is available for Android and iOS phones and you do not need an internet connection to use the app. 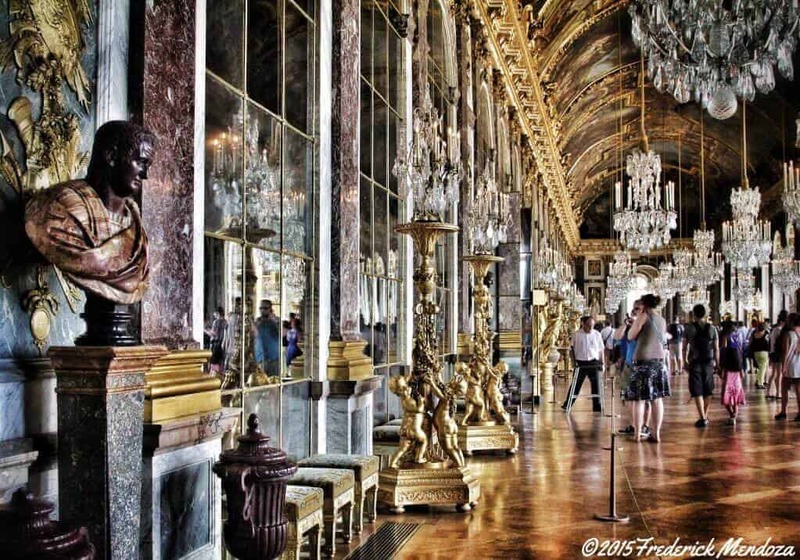 The Hall of Mirrors, known as The Galerie des Glaces in French, is the most famous room in the Palace. It was built to replace a large terrace that separated the King’s and Queen’s apartments. While the Hall is glorified for its beauty and the possession of mirrors which was an expensive item those days, read this interesting story about how the Venetians tried poisoning the mirror making artisans to prevent the French from stealing the mirror-making technique. The Venetians plotted this since mirrors were rare those days and they had the exclusive knowledge to make mirrors and hence was a great source of revenue from the exports. Read this blog to know more about the Hall of Mirrors accompanied by fantastic pictures. Lifewise, other interesting rooms that you can have to visit are The Hall Of Plenty, The Salon of Hercules, The Salon of Venus, The Diana Room, The Mars Room, The Mercury Room and The Apollo Room. The Gallery of Battles is a 120-meter-long gallery occupying the first floor of the South Wing in the Palace of Versailles. 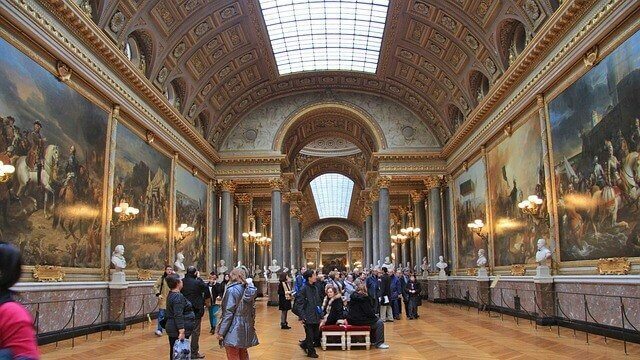 Louis-Philippe, King of the French after the French Revolution is to be credited for the creation of this gallery. Shortly after becoming King in 1830, Louis-Philippe I decided to transform the Palace of Versailles. Louis-Philippe withdrew its status as a Royal residence and turned the Palace into a museum. This is a dedicated quarter in the Royal Palace where oranges and other fruit trees are protected during the winter. 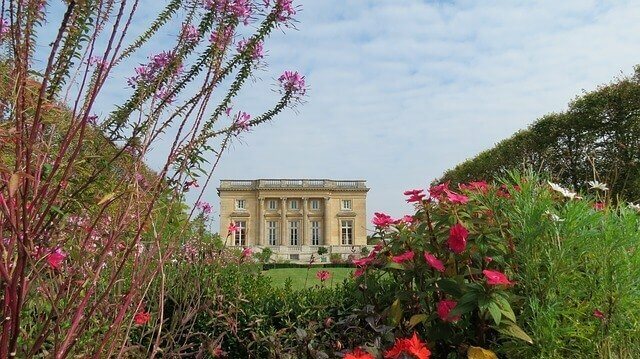 Built by the chief architect, Jules Hardouin-Mansart, the construction of the Orangery is such that the temperature is cool enough to not let the plants freeze during winters. These trees are meticulously moved inside the building during winters and preserved in perfect weather conditions. The Orange gardens look empty with just the lawn during winters. There are a number of mobile kiosks serving freshly-squeezed orange juice along with the avenues in the gardens during summer and spring. 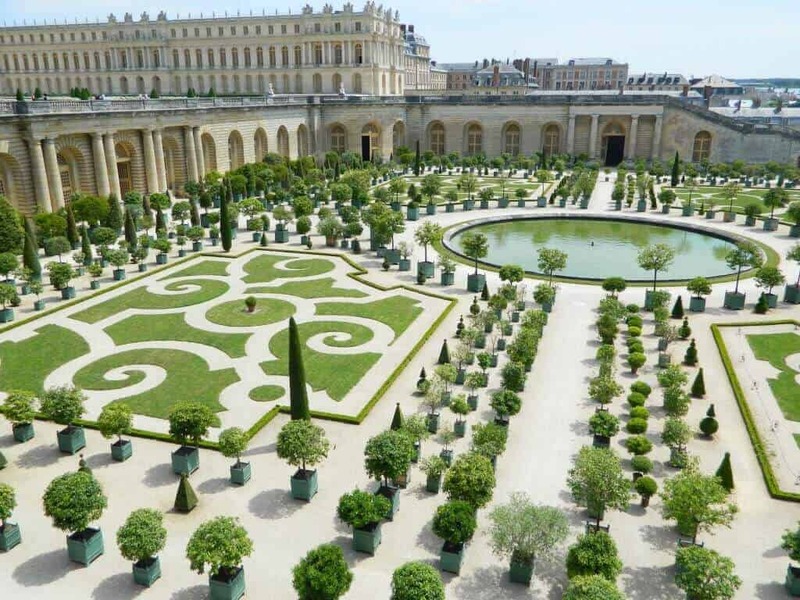 The Gardens of Chateau de Versailles are its main feature. The fountains and the sculptures are meticulously placed after much thought. This artistic display of the garden should be credited to the chief landscape architect, André Le Nôtre. Explore the Garden and the Orangery on foot accompanied by interesting audio commentary using the Versailles Gardens® app. You will need an internet connection to operate this application on your phones. You can download this app for Android and iOS. If you are interested in a personal guided tour of the Gardens, these tours might be of interest to you. The Garden of Versailles and its history inspired the making of a movie called A Little Chaos starring Kate Winslet. The movie was directed by Alan Rickman and released in 2015. The Grand Canal was built between 1668 and 1671. It is 1,500 meters long and 62 meters wide. With the line of beech, oak, ash, and wild cherry trees on both the sides, the Grand Canal add to the design of the Gardens. The Grand Canal was used during royal events as a starting point for fireworks or as a real theater set. Fountains are an integral element in the design of the Gardens. On weekends from late spring to early autumn, the administration of the museum sponsors the Grandes Eaux or the Musical Fountain Night – spectacles during which all the fountains in the gardens are in full play with color and music. There are more than 30 fountains in the gardens of Versailles, the most famous are: the Neptune fountain, the Apollo fountain, and the Latona fountain. During The Musical Fountain Show, the 50 fountains contribute to the great show of water-jets. Watch this video to understand the history of the elegant looking Latona Fountain facing westwards, placed between the Palace and the Grand Canal. Every fountain within the Garden has a story behind it. It is good to have a tour guide as they can give a detailed explanation for each one of them. 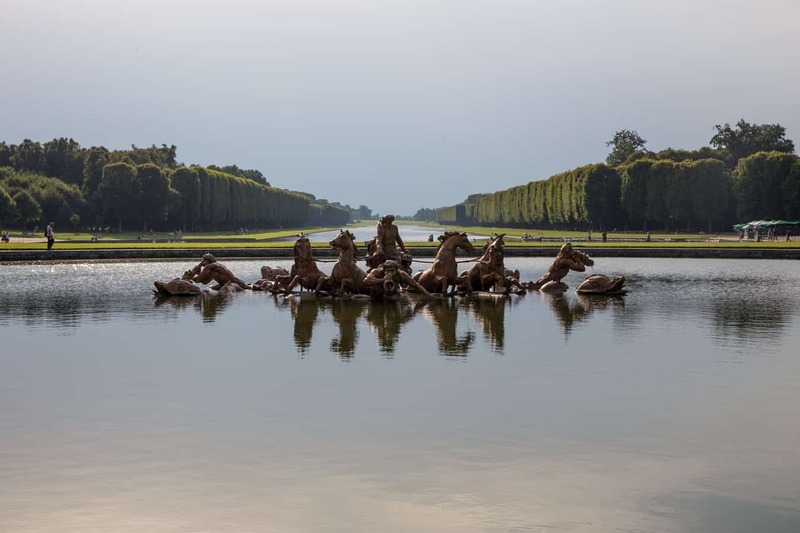 At the beginning of the Grand Canal in the East-West perspective of the Gardens in the Palace of Versailles is the Apollo Fountain. Read this guide to know about all the activities in the Garden, like The Musical Fountain Show, The Musical Gardens, The Fountains Night Show and The Royal Serenade and the calendar of events. Have a look at the visually delightful Fountain Night Show and the brilliant display of fireworks and pyrotechnics in this video. 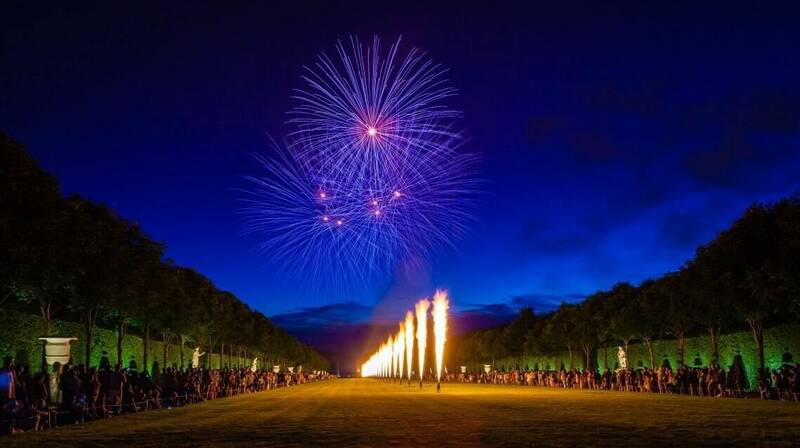 This video will definitely entice you to buy the Fountains Night Show ticket as the display of fireworks takes you back in time when the Royals used to celebrate occasions in this fashion in the 17th and 18th century. By foot through the gardens (around 30 minutes). With the Little Train: from the Palace stop (North Terrace in the Gardens) to the Grand Trianon or Petit Trianon stop (around 20 minutes / Admission price: €7.50; reduced admission: €5.80 and to only come back to the Palace: €4). From the Water parterre by renting electric vehicles (€32 per hour). Marie-Antoinette tasked Richard Mique, her favored architect, in 1783 to build a whole model village around an artificial lake. The queen actually used the hamlet as a place for relaxing walks or to host small gatherings. Read this travel blog and see what you can expect in this idyllic village setting just a few minutes away from the grand palace. Watch this visual tour of the Palace of Versailles and its garden in this Versailles Vacation Travel Video Guide. 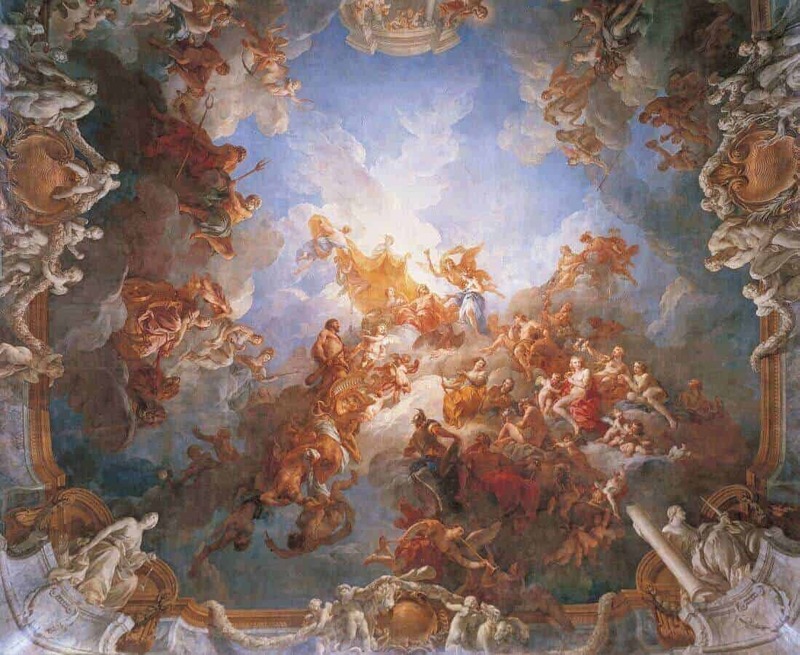 We hope that you enjoyed reading our detailed guide to visiting the Chateau of Versailles.